Participants are encouraged to gather your friends and family to create teams of 10 or more to walk around Macungie Park and lead the group to the Bandshell where we will welcome our 2017 Award Recipients followed by music featuring The Large Flowerheads. The walk will be stroller-friendly and an easy, mostly paved route. 1) SET A FUNDRAISING GOAL & CREATE OR JOIN A TEAM. 2) GATHER YOUR FAMILY-FRIENDS & CO-WORKERS. Teams of 10 or more are encouraged to participate. The sky is the limit! No team is too large or too small – all are welcome! 3) GET CREATIVE. Of course our Fun Walk is in Ben’s honor and monies raised will go to support The Ben Event and the Yorgey Foundation long-range plans, however if you have a loved one or a cause you and your Team would like to represent during our walk, please do so! Create your own t-shirts for easy Team identification, wear the same hats, funky sunglasses, costumes, badges – BE INSPIRED! We can’t wait to see what you all come up with. Download the Fun Walk Team form here! Let us know what you're interested in, and we'll get back in touch! I'd like to sponsor The Ben Event. I'd like to volunteer for The Ben Event. I'd like to become a Ben Event team member. I'd like to donate to The Ben Event Super Raffle. I'd like more info on The Ben Event 5K. I'd like more info on The Ben Event Fun Walk. 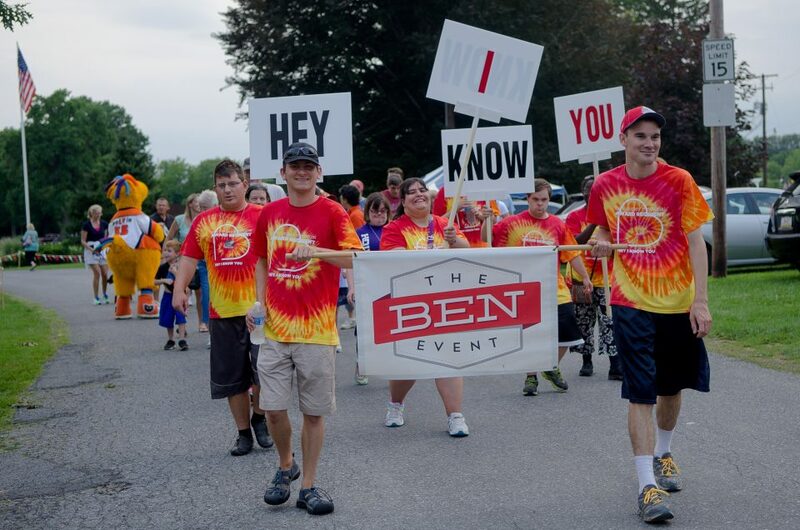 Looking to become a volunteer for The Ben Event? Click here to register!